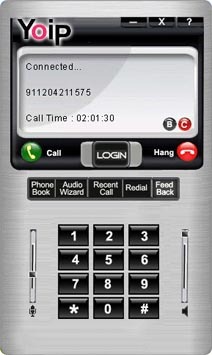 The Yoipsoftphone Advance 2.0 offers fully integrated features to accelerate and enhance the usage of the SIP softphone. Apart from other regular features, we have added two more features, i.e Display Invalid Pin and Display Expired Pin, to present a value-added model for our clients. It's a windows phone. Linux phone is coming soon. Display Invalid Pin gives full security to your Softphone and Display Expired Pin alerts the user regarding the expiration of the Pin, which prevents them in every sort of trouble. Softphone Advance (Download)with one Brand Name/Logo and one Skin.